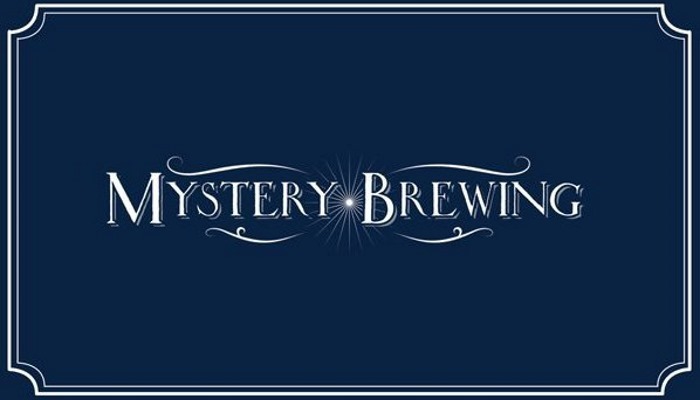 Since early 2012, Mystery Brewing Company’s mission has been committed to producing seasonally appropriate, hand-made, artisanal ales and lagers. We’re rustic. We don’t filter our beer and we don’t pasteurize. We don’t add artificial chemicals to enhance foam or clarity and aside from hops, we don’t add preservatives. You’re getting a live product that’s as close to the original ingredients as we can get to you. While it means that your Mystery Brewing Company beer won’t be brilliantly crystal clear, it does mean that it’s jam packed with flavor. We don’t really like the Reinheitsgebot. The German Purity Law of 1516states that all beer must be made of 3 basic ingredients: water, hops, and barley. (They didn’t really know what yeast was back then.) We think that beer is best made with a wide variety of ingredients to lend flavor and complexity. We brew using a lot of wheat, rye, oats, different types of sugars, fruits, herbs, and spices because we believe that a painter with more colors on his palette can create a picture of even more depth and beauty than one who only uses a few. We’re seasonal-only. We don’t have a flagship and we don’t want one. We believe that what people like to drink changes depending on the time of year, the type of foods that are available in the local markets, the weather, and even their moods. Because of that, we’re striving to provide a seasonal selection that’s always fresh and reflects what we think drinkers will be looking for at each time of the year. Brewers were among the first organized trade groups; there is evidence of a guild of brewers as early as 12th Century London: “the Master, Keepers or Wardens and Commonalty of the Mistery or Art of Brewers of the City of London”. So, it’s a tribute, it’s recognition that there is just as much art to brewing as there is science, and it’s a gentle reminder that to move forward and create a truly excellent future, sometimes you have to look at the past.